Create a Media-Catalog Software. With MyBusinessCatalog it's easier than ever! Catalog software: Digital catalog on various media - CD/DVD/Flash drives. The wizard automatically creates a set of files ready to be recorded on a media - CD/DVD/Flash drive. Such digital catalog can be installed on a computer or launched directly from the media it is recorded on. Customers can view the products in the product catalog, create and submit orders to you. The created digital product catalog can update itself via the Internet, so it will never become outdated. 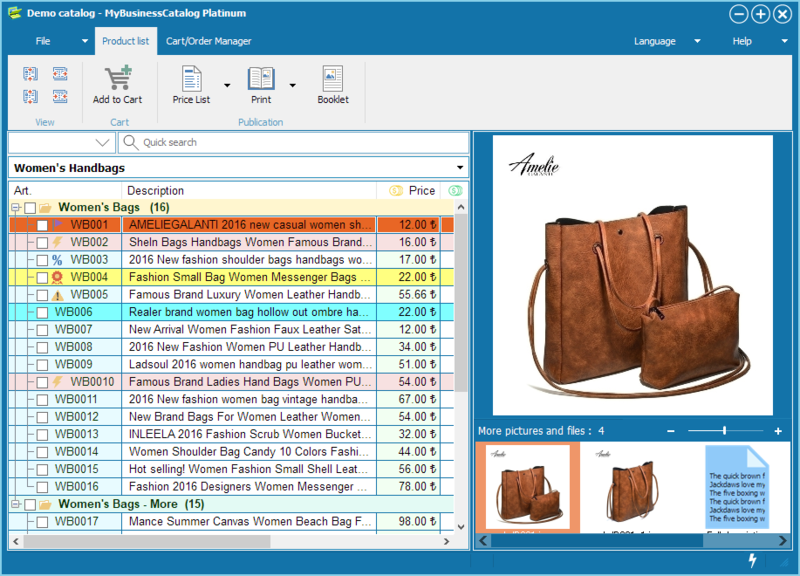 Application: Distributing the catalog at exhibitions, conferences (much cheaper than a similar printed catalog or could be an add-on to it), at the office; submitting orders by customers from the catalog software. All information about your company and your products on the same media. Download the Catalogue Software and start your marketing program right now!